If you were looking for a list of Spirits in Super Smash Bros. Ultimate, then, well done, you’ve come to the right place! Spirits are a new gameplay mechanic that has been introduced to the mascot brawler, that, after Galeem crushed the universe, saw the game characters that fought back lose their bodies and become ethereal. Plucked from across different game worlds, you will steadily free these Spirits to build your collection, and, coming in Primary and Support types, can be used to enhance your chosen fighter’s abilities. Only one Primary Spirit can be equipped at any time, and whichever you choose will determine how many Support Spirits you can have. 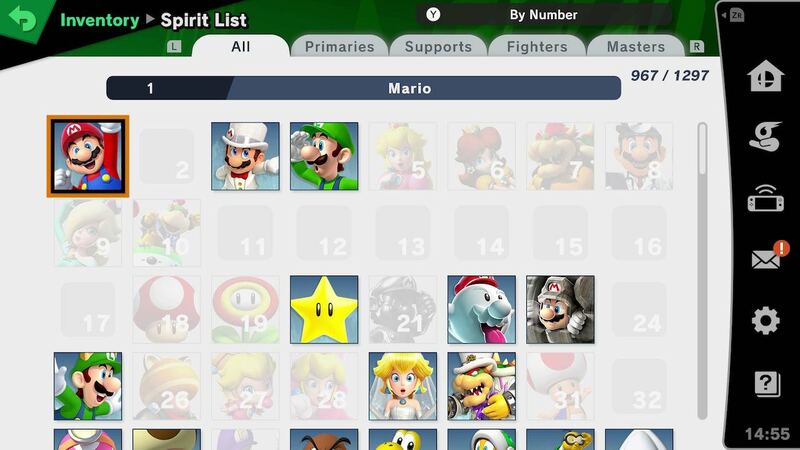 And, at the time of writing, there are 1,299 Spirits in the Nintendo Switch exclusive, which, to help, we have listed out in the order that they appear in the in-game Spirit List (which is accessed under Spirits > Collection from the main menu screen).